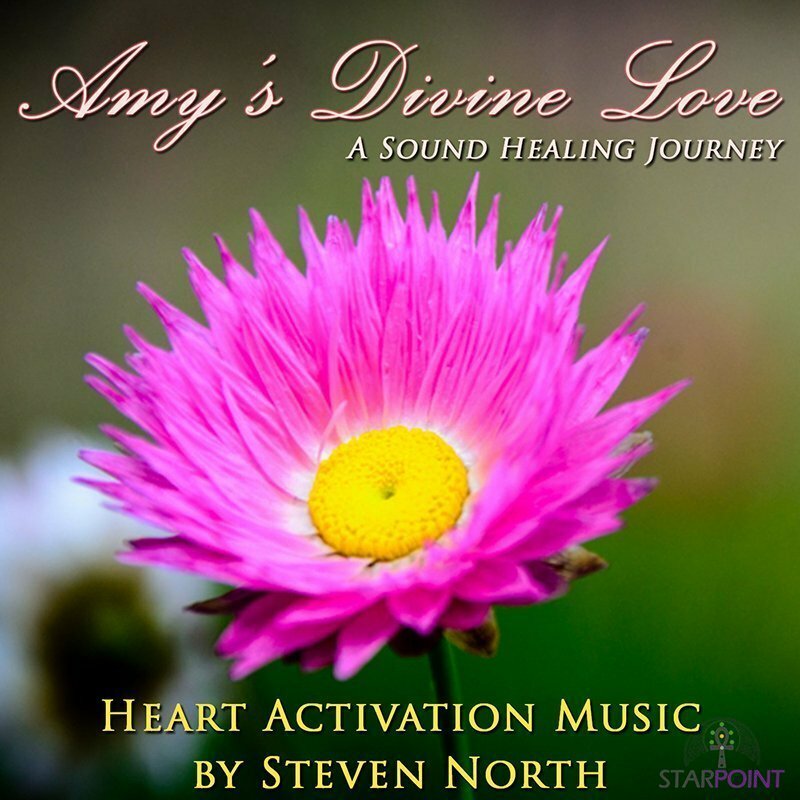 This beautiful love song runs as a loop so that it is possible to lose concentration on the song whilst the energies of Ascended Masters Serapis Bey, St Germain, Lady Portia & Amy North work in unison with the frequency of 432 Hz. 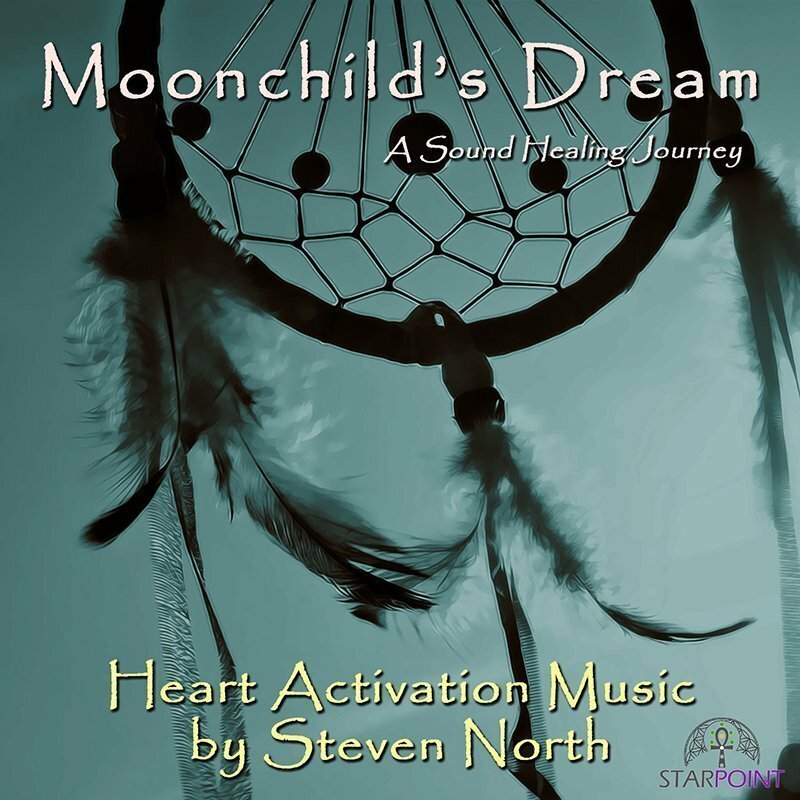 The Heart Activation Music by Steven North uses light codes, frequencies, natural scalar energies and this song has been put together to be used in the background. The frequency of 432 Hz is referred to as a frequency of Love, of DNA Repair, of cleansing the chakras and the auric fields. Thus, this beautiful meditational love song has been created. A=432 Hz, known as Verdi’s ‘A’ is an alternative tuning that is mathematically consistent with the universe. Music based on 432Hz transmits beneficial healing energy because it is a pure tone of math fundamental to nature. The Universal Music of Sacred Geometry. According to Brain T. Collins, a musician and researcher, the standard pitch (A=440 Hz) does not harmonise on any level that corresponds to cosmic movement, rhythm, or natural vibration. The greatest musicians, such as Mozart and Verdi, based their music on the natural vibration of A=432. It’s true that it is only 8 vibrations per second different from the standard tuning, but this small difference seems to be remarkable to our human consciousness. The Healing Benefits of 432 Hz. List to 432 Hz and Enjoy Living in Balance. Because 432 Hz gives a greater clarity than 440 Hz, there’s less need to play it as loud as 440 Hz. This means less hearing damage, as long as you put the volume not too high. Furthermore, there’s also less noise pressure. Researchers and musicians, such as Coreen Morsink (pianist and music teacher), report that they feel calmer, happier and more relaxed when playing music at 432Hz. Music based on this natural tone is more transparent, more marked, gives an obvious musical picture and the overtones and undertones move more freely. 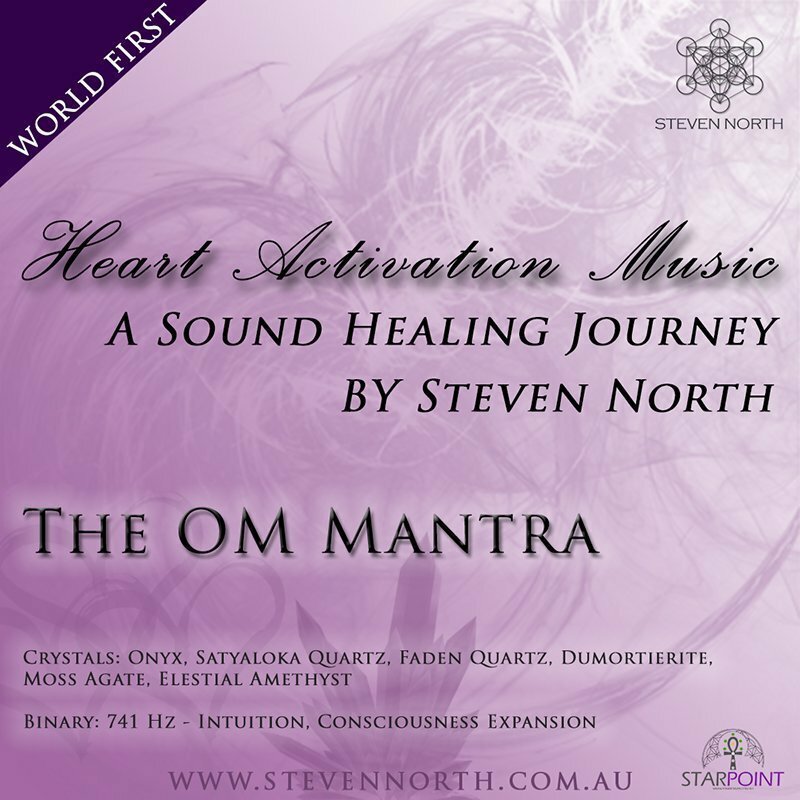 Music based on 440 Hz represents stuffed emotions and blocked energy. By lowering the pitch by just 8 Hz, you became more flexible and spontaneous. 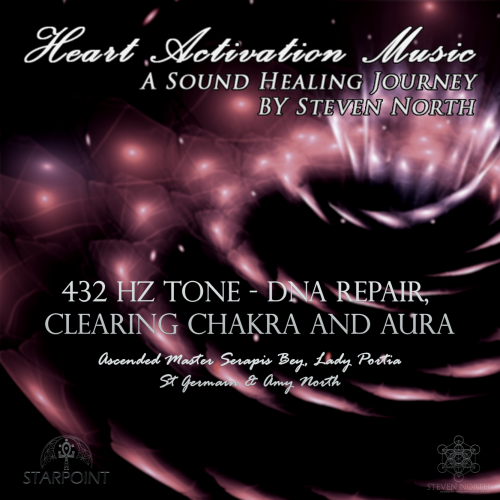 The 432 Hz tuning releases your energy and takes you into a beautiful state, where relaxation is natural. Clear Quartz is a stone that is helpful for meditation; spiritual development; Atlantis, Mu, Og, Zu, Lemuria; American Indians; ancient tribal cultures; diagnostic healing; enlightenment; spiritual communications; rejuvenation. Clear Quartz is used within the Heart Activation Music to store information as it is a great crystal not just to amplify others but to hold code that is embedded into the crystals. Later tracks within the Heart Activation Music use different pieces of Clear Quartz as vessels for specific Ascended Masters. As chohan, or lord, of the seventh ray, Saint Germain initiates our souls in the science and ritual of transmutation through the violet flame. Saint Germain and Portia deliver to the people of God the dispensation for the seventh age and the seventh ray—the violet ray of freedom, justice, mercy, alchemy and sacred ritual—a new lifewave, a new civilization, a new energy. The Strauss waltzes carry the vibration of the violet flame and will help to put you in tune with Saint Germain. The Rakoczy March, by Franz Liszt, carries the flame of his heart and the formula of the violet flame. His electronic pattern is the Maltese cross; his fragrance, that of violets. Lady Portia represents the 7th Ray on the Board of the Lords of Karma, and is the Master or Chohan of the Golden Ray. Lady Portia is one of the Lords of Karma and sits on the Karmic Board. Lady Portia embodies Divine Justice and is known as the ‘Goddess of Justice’ and the ‘Goddess of Opportunity’. Lady Portia is the ‘Keeper of the Sacred Heart Flame’ (also known as the ‘Holy Heart Flame’) which is the feminine aspect of the Violet Flame energy. Lady Portia helps us to anchor the Violet Flame of Transformation within our hearts and minds, and that of humanity. 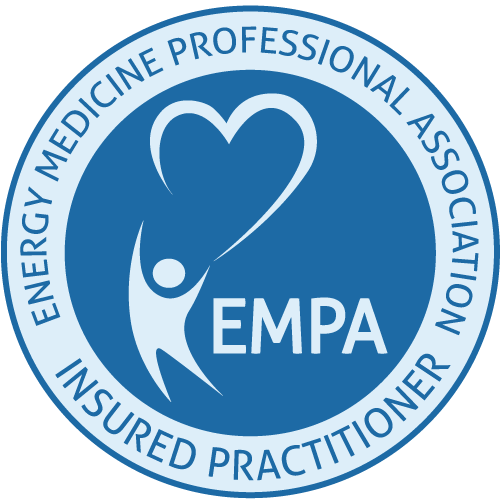 One of Lady Portia’s main roles is to teach humanity how to attain and maintain balance of the physical, mental, emotional and spiritual, through using the attributes of the four elements of Earth, Wind, Air and Fire. I agree very beautiful with a hint of sadness. Hauntingly beautiful. What a precious gift you have been given. Thank you for sharing it.